ORDER TODAY- HAVE THEM TODAY!! LOCAL WAREHOUSE FOR BELTS AND PULLEYS!!! 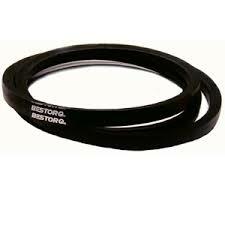 Bestorq Belts are OEM for Champion Cooler on the low end and Cinncinnati Fan on the high end! On the air compressor we are OEM for Atlas Copco,Quincy,Sailor Beales,Gardener Denver and Champion Compressor! WE STOCK 3500 BELTS READY TO SHIP TODAY!!! Durable contstructed belts designed to release heat for longer durability. We stock 3500 belts; v belts,cogged belts and metric belts etc. 1. HOW TO EXTEND THE LIFE OF YOUR BELTS OVER 200%!! 3. HOW TO DECREASE YOUR ELECTRICITY BILL AND SAVE THOUSANDS OF DOLLARS! !